Blooming Lily--Where Style is Always Blooming: Cool Site of the Week--IWear...do you?? 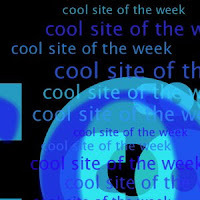 Cool Site of the Week--IWear...do you?? Made from gemstones, beads, hardware and electrical parts, this totally unique jewelry collection by IWear...do you? is the perfect marriage of beauty, creativity and cutting edge. 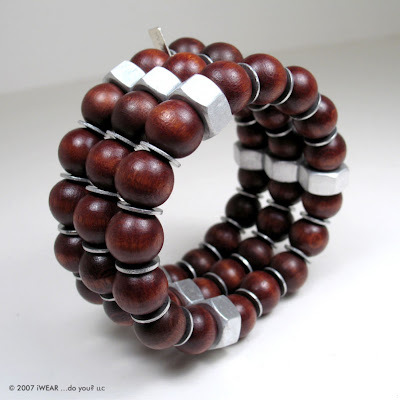 Two of my favorites are these bracelets: On the Rocks (clear quartz nuggets wire wrapped onto stainless steel washers) and Tri Lumber (3 strands of chocolate brown wood beads cleverly interspersed with aluminum washers and nuts.) All of the pieces in the collection are beautifully crafted and add just the right dash of whimsy to any outfit. Plus, prices start at only $50. And that's the nuts and bolts of it. I see washers incorporated into jewelry a lot, but this is the first time I've seen nuts being used. That wood bracelet is very cool!